We asked our readers to name the best subscription boxes of 2019, and they delivered! Check out all of the winners here, or read on to find out which boxes our readers say are the absolute BEST for makeup lovers! It’s no secret that our readers LOVE beauty boxes! Now, these discerning shoppers have named the top subscription boxes they turn to for amazing makeup. In this list, you’ll find picks for every price point, plus options for vegan beauty fans. If your makeup routine is ready for an upgrade, these subscription boxes are the perfect place to start! Want more beauty box inspiration? Browse our full list of beauty subscriptions here! About the Box: Boxycharm is one of the most popular boxes on our site, and for good reason! Each month, subscribers receive a mix of 5-6 new cosmetics, skincare products, beauty tools, and more from top brands. The best part? At least 4 of those items will be full-size! About the Box: Not only is Ipsy super affordable—this top beauty subscription box is super impressive, too! 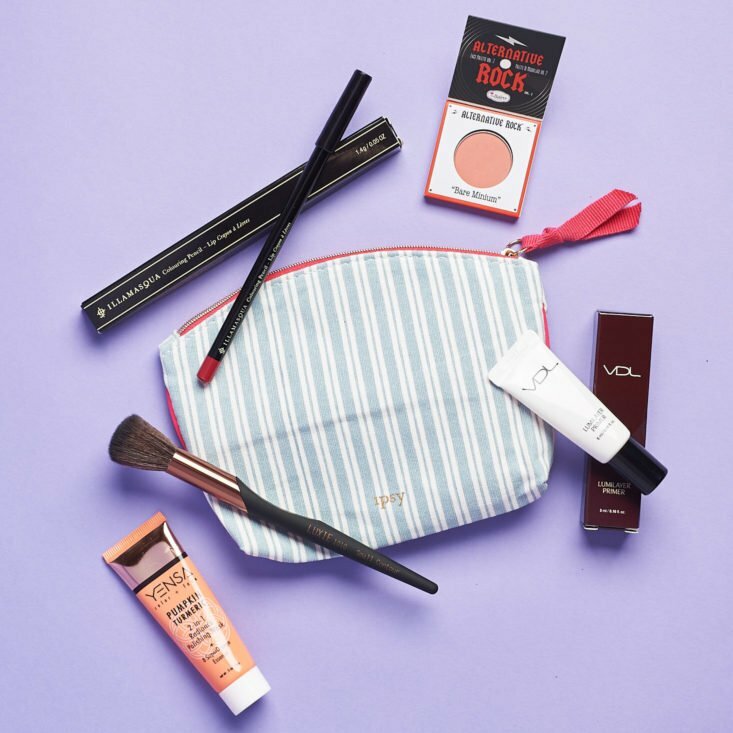 Their mix of high-end and drugstore brands is a hit with our readers, as is the free makeup bag you get with your personalized makeup samples each month. About the Box: Do you find yourself flipping through Allure Magazine just wishing you could try the amazing products yourself? With Allure Beauty Box, you can! Each month, this subscription sends you deluxe- and full-size beauty and makeup samples, including skincare, haircare, and cosmetics, all of which have been approved by the experts at Allure! About the Box: If you’re the type who loves playing with the testers at Sephora, you’ve GOT to try their super-affordable subscription box! 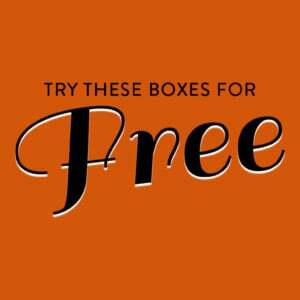 Members get a monthly box of 5 deluxe beauty samples, a fragrance sample, a PLAY! Book of tips and tricks, and a PLAY! Pass for in-store learning and 50 extra rewards points! About the Box: You’ll need to be an existing Ipsy subscriber to nab this upgraded beauty box, but our readers can’t recommend it enough! In each box, you can expect full-size products from beloved and up-and-coming brands. Think palettes, brushes, skincare, lip products, and more, all personalized to YOU! The Cost: $15 a month + free US shipping. Sign up here! About the Box: Birchbox lets you choose whether you’d like to know what top beauty samples you’re getting each month, or if you’d like to get a Birchbox curated opt to pick a “curated” box where you’ll see exactly what you’ll receive before it ships. About the Box: Looking for deluxe- and full-size beauty products only? GLOSSYBOX is perfect for you! Our readers love their must-try products from unique and up-and-coming brands. About the Box: Petit Vour sends its members a gorgeous array of vegan beauty and skincare products from notable brands. These monthly mixes of sample and full-size items are perfect for ingredient-conscious beauty lovers and folks looking for kinder alternatives to their current makeup products. The Cost: $16.95 per month. Subscribe here! About the Box: Medusa’s Makeup Beauty Box is another amazing pick for fans of vegan beauty! This box is packed with notable Medusa’s-brand products in both versatile and vibrant hues. Check out our Medusa’s Makeup reviews and Medusa’s Makeup info to learn more. Ships worldwide. The Cost: $22.95 per month. Subscribe here! About the Box: Another favorite in the vegan category is the Vegan Cuts Beauty Box, which includes 4-7 full- and sample-size makeup and skincare products in each monthly box. It’s a fantastic way to discover new brands and ingredients for your beauty routine! Check out our Vegan Cuts Beauty Box reviews and Vegan Cuts Beauty Box info to learn more. Ships worldwide. About the Box: Each Macy’s Beauty Box is like a trip to your favorite beauty counters! You’ll get 5 deluxe beauty samples, from top notch brands, a makeup bag, a bonus item, and a $5 coupon to use online or in stores! The Cost: $29.95 per month. Subscribe here! About the Box: Our readers love the mix of essential and head-turning hues in each Deck of Scarlet box! This 100% cruelty-free, paraben free, US-made makeup box features a new palette each month, so you can try new look after new look! Check out Deck of Scarlet reviews and Deck of Scarlet info to learn more. Ships to US, Canada, and UK. The Cost: $19.99 per month. Subscribe here! COUPON: Get a free bonus lippie when you use this link! About the Box: Get-notice liquid lipstick is KissMe’s specialty! Each month, you’ll receive 3 new chic shades, which range from neutral hues to edgy colors. It’s a great mix of glossy and stay-put matte shades! Check out KissMe reviews and KissMe info to learn more. Ships worldwide. The Cost: $20.95 per month. Subscribe here! About the Box: Each month of Color Curate brings you vegan, cruelty-free, paraben-free makeup finds with plenty of colorful personality! The packaging will make you smile, but it’s the quality of these ethical products that’ll really wow you! Check out Color Curate reviews and Color Curate info to learn more. Ships to US. "You pick your size in the t-shirt and underwear. I think it's a good deal - quality is very nice."